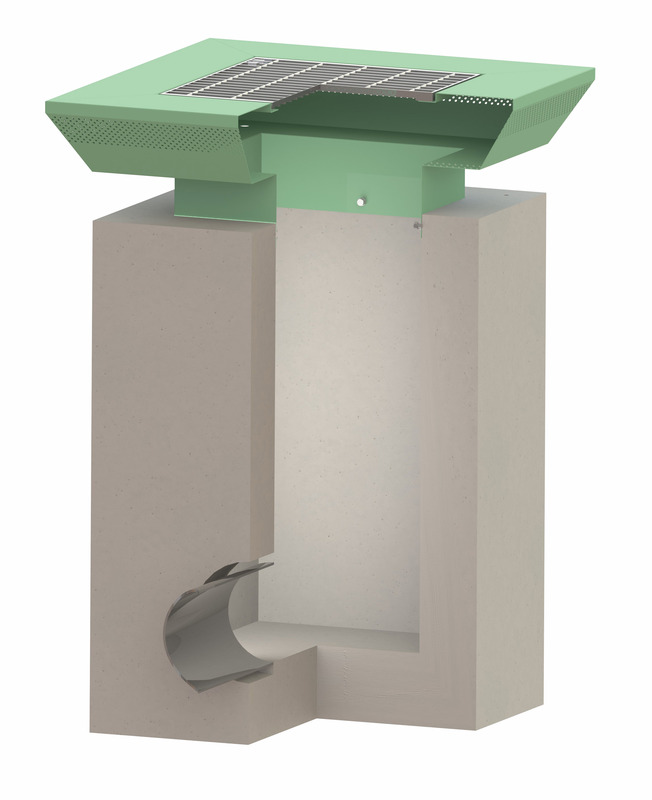 The SwaleGard® pre-filter is an inlet pre-treatment device that removes gross solids, trash and debris as well as petroleum hydrocarbons from storm water runoff before reaching a swale or bioretention facility. 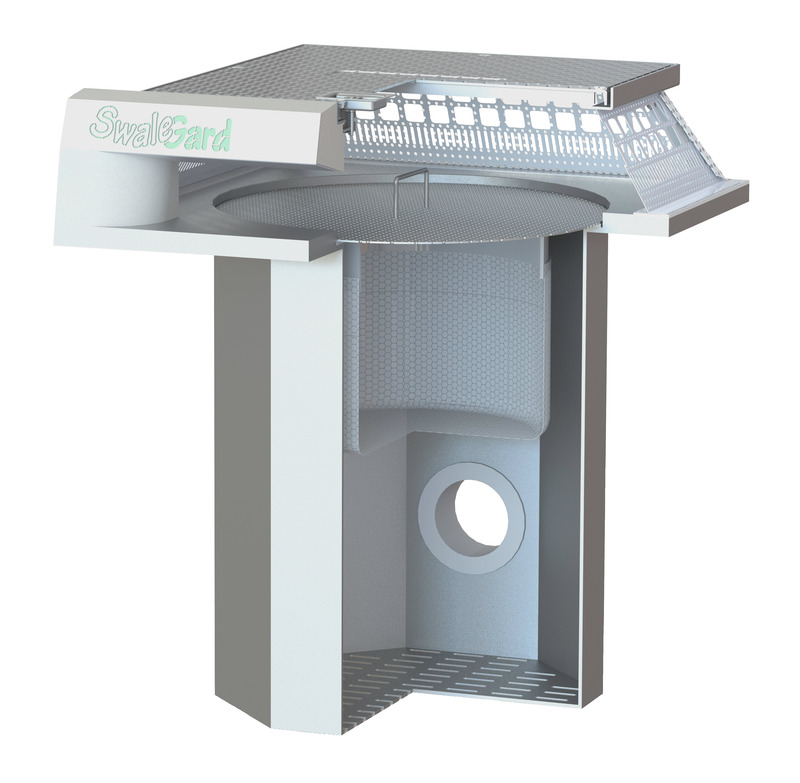 The SwaleGard® pre-filter traps large trash and debris in the upper chamber and smaller sediment in a collection basket below. The device also provides hydrocarbon removal using sorbent pouches. Sediments and associated pollutants can inhibit the infiltration rate of bioretention cells, and the SwaleGard® pre-filter captures such pollutants in one location before they get to the bioretention facility. By preventing these pollutants from reaching the bioretention surface, the SwaleGard® pre-filter enhances treatment performance, extends the service life of the treatment area, and simplifies maintenance. 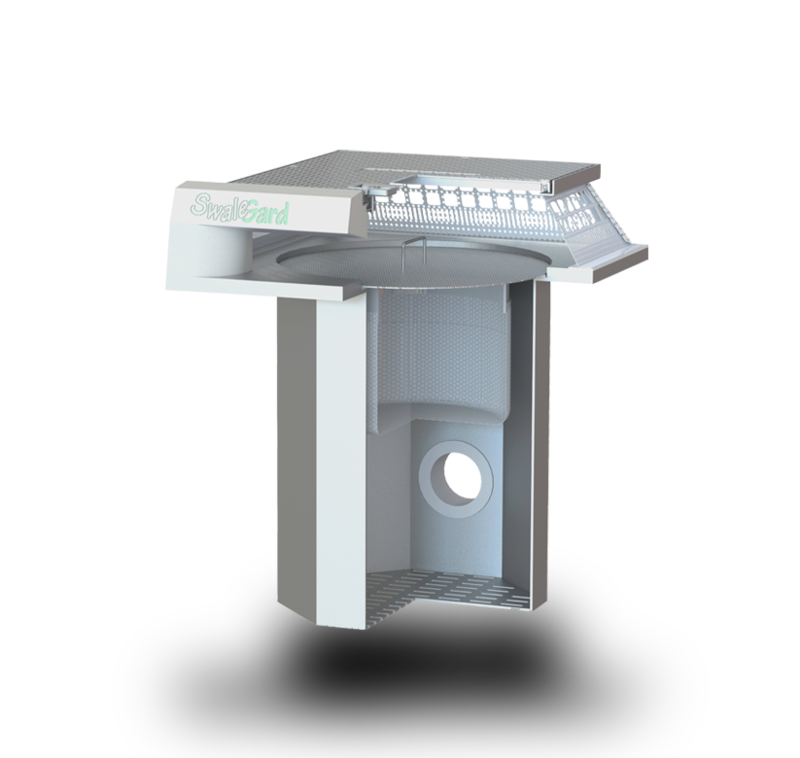 As with any storm water treatment system, the SwaleGard® pre-filter requires regular maintenance to prolong the life of the system. Routine maintenance is accomplished by removing accumulated pollutants from the inlet screen by hand or by using a vacuum truck and replacing the sorbent pouches. Frequency of maintenance depends on the conditions of the site and performance of the system. Traps pollutants before reaching a bioretention cell, extending the service life and reducing maintenance needed. Reduces the pollutant load on a swale or bioretention facility, enhancing performance and allowing the system to infiltrate as designed. Simple design is effective and economical. Collects and retains gross pollutants at one location for easy removal. Can be used for bioretention cell systems, grassy swales and parkway culverts.